A "Text Layer" can be created with the Text Tool or by drag and drop. 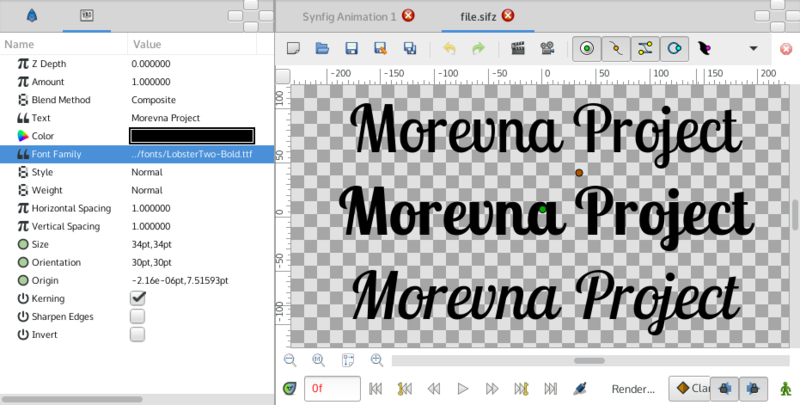 Quick trick that allows to use custom fonts in Synfig. 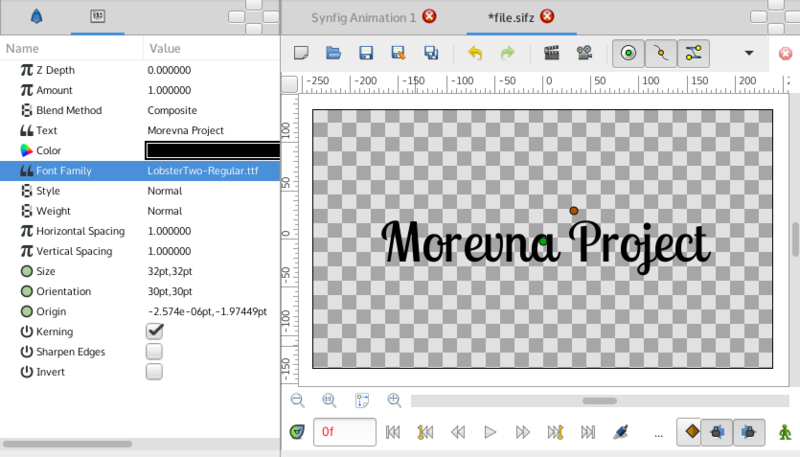 Put your font (ttf) file in the same dir as your Synfig (sif or sifz) file. Create Text Layer and in the "Font Familly" parameter put full filename of font file (i.e. "LobsterTwo-Regular.ttf", without quotes). After examining font files, you might notice that different variants of font style are usually residing in separate files (i.e. "LobsterTwo-Italic.ttf", "LobsterTwo-Bold.ttf", "LobsterTwo-BoldItalic.ttf", etc). So you can use different font variants in the same way just by referencing the appropriate font file. If your font file is placed in different location, then you can specify absolute or relative path to it (i.e. "../fonts/LobsterTwo-Bold.ttf").